The Iliad is an ancient Greek epic poem which narrates the story of the Trojan War. Originally by Homer, the poem is the focus of much Classical scholarship, and has undergone numerous translations through the centuries. 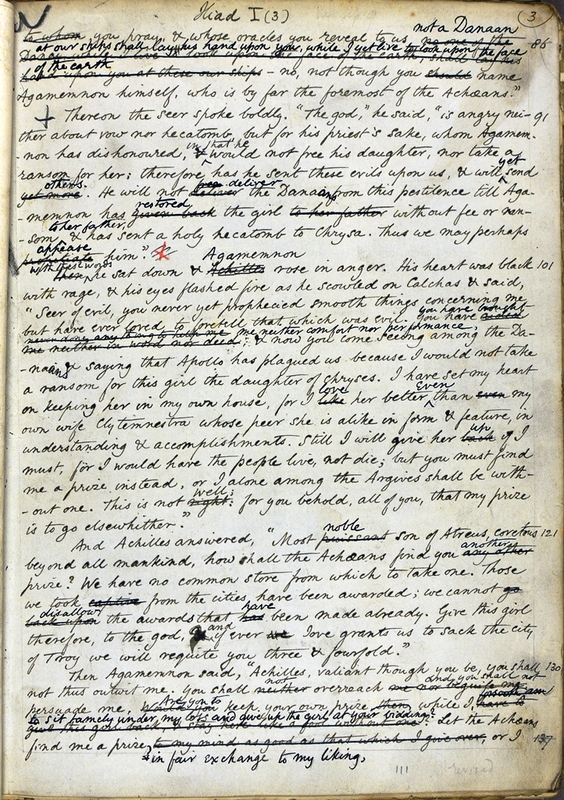 Butler read Classics at St John’s College, Cambridge, graduating in 1859 with a first class degree. He toyed with the idea of applying for a Fellowship to continue his academic work; his grandfather, Dr Samuel Butler, had been a renowned Classical scholar, and the family would have approved of Butler following in his footsteps. 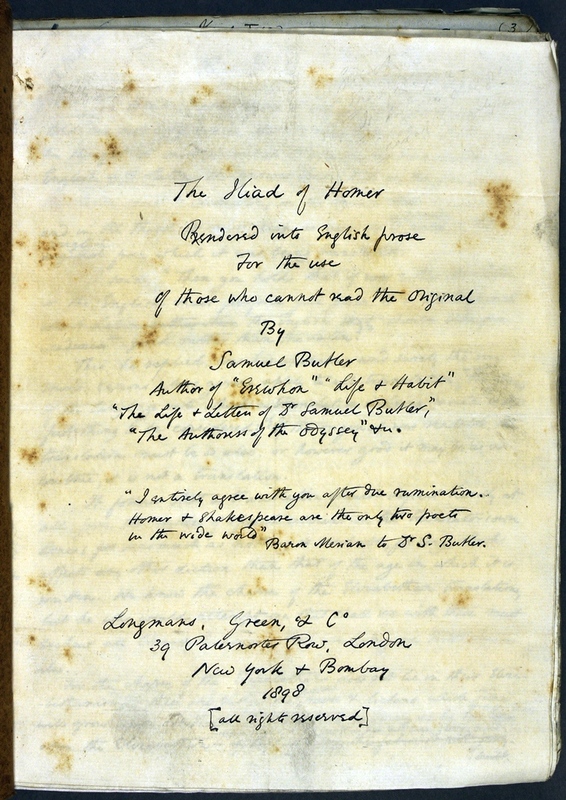 Although Butler opted not to pursue this scholarly path, his enthusiasm for the Classical literature and languages he had studied remained, and more than thirty years later he translated the Iliad (along with the Odyssey) into English prose, ‘for the use of those who cannot read the original’. 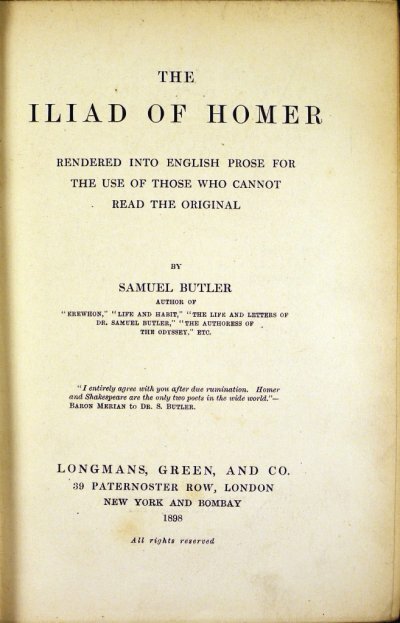 His Iliad translation was eventually published by Longmans in 1898, and received praise from a contemporary reviewer in the Athenaeum for its ‘vivid and direct prose’. Even today, Butler’s translations are recommended on reading lists for students of the Classics.